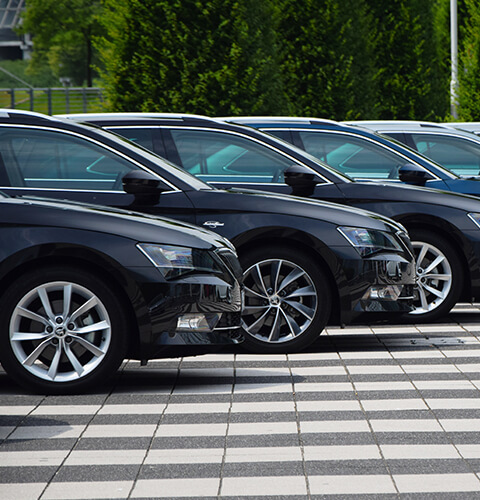 If you run a business and have at least five vehicles to insure, then you could benefit from a fleet insurance policy. Instead of insuring your vehicles individually, you can add them all to a single policy, making it simpler and often less expensive to look after your motor insurance needs. It also means you can easily add or remove drivers on your policy*. Every business has different requirements. You might only have a few vehicles, or you might have hundreds. You might be a courier business making local deliveries; you might be a national haulage company; or you may simply want to insure a fleet of company cars for your sales staff. Because every customer has unique requirements, ChoiceQuote looks for the best policy we can deliver to meet your needs, from our wide range of insurers. ChoiceQuote is one of the leading brokers in the UK for fleet insurance, with well over 20 years’ experience in providing motor fleet quotes. We can cover all types of fleets including vans, company cars, couriers, haulage, taxi, coach, minibus and mixed vehicle fleets. We can also help you to spread the cost of payments on finance plans, particularly for larger fleets*. Come to ChoiceQuote and you’ll benefit from first-rate service. With a Feefo rating of 4.7 out of 5, we’re proud to deliver insurance to satisfied fleet operators spanning the length and breadth of the UK. Because we’ve been around for years, we have relationships with a number of insurers, which can help you find the right policy at a highly competitive price. Why choose ChoiceQuote for my fleet insurance? Telematics are increasingly becoming important in managing fleets. Knowing where your vehicles are on the road in real-time is especially useful for courier, taxi or haulage fleet operators, but modern telematics do much more than just monitor speed and location of your vehicles on the road. With video cameras installed, you can record incident and accident footage which can be sent directly to fleet managers or insurers within minutes, helping to prove responsibility for accidents and reduce the time spent on claims, which can lead to speedier settlements and lower costs. Insurers are often keen to see telematics installed in vehicle fleets, and ChoiceQuote is pleased to say that we can help with this, too. We offer access to a range of telematics products from a leading provider at a reasonable cost, which not only can help you actively track and monitor your vehicles on the road but can also potentially save you money on your insurance, too. Pick the experts in motor fleet insurance – talk to ChoiceQuote! Simply click the ‘Get Quote Now’ button to fill in your details and request a quote on your vehicles, or call us today on 0800 440 2183 to speak to a friendly adviser on our fleet team and see how ChoiceQuote can help with your fleet insurance today!